Papers published by members of the group. Pezzati, G., Hall, R., Burgess, P, Perez-Gussinye, M. 2014. The Poso Basin in Gorontalo Bay, Sulawesi: Extension related to core complex formation on land. Preceedings, Indonesian Petroleum Association, 38th Annual Convention, IPA14-G-297. Pownall, J.M., Hall, R. Neogene extension on Seram: A new tectonic model for the northern Banda Arc. Proceedings, Indonesian Petroleum Association. 38th Annual Convention, IPA-14-G-305. Zimmerman, S., and Hall, R. 2014. Provenance of Mesozoic sandstones in the Banda Arc, Indonesia. Proceedings, Indonesian Petroleum Association, 38th Annual Convention, IPA14-G-301. Gunawan, I., Hall, R., Augustsson, C., Armstrong, R. 2014. Proceedings, Indonesian Petroleum Association, 38th Annual Convention, IPA14-G-303. Camplin, D.J. & Hall, R. 2013. Insights into the structural and stratigraphic development of Bone Gulf, Sulawesi. Proceedings Indonesian Petroleum Association, 37th Annual Convention, IPA13-G-079 1-24. Gunawan, I., Hall, R. & Sevastjanova, I. 2012. Age, character and provenance of the Tipuma Formation, West Papua: New insights from detrital zircon dating. Proceedings Indonesian Petroleum Association, 36th Annual Convention, IPA12-G-027 1-14. Wilson, M.E.J. (Eds.) The SE Asian gateway: history and tectonics of Australia-Asia collision. Geological Society of London Special Publication, 355, 177-202. Hall, R., Cottam, M.A. & Wilson, M.E.J. (Eds.) 2011. The SE Asian gateway: history and tectonics of Australia-Asia collision. Geological Society of London Special Publication, 355. Hall, R., Cottam, M.A. & Wilson, M.E.J. 2011. The SE Asian gateway: history and tectonics of Australia-Asia collision. In: Hall, R., Cottam, M. A. & Wilson, M. E. J. (Eds. ), The SE Asian gateway: history and tectonics of Australia-Asia collision. Geological Society of London Special Publication, 355, 1-6. Lohman, D.J., de Bruyn, M., Page, T., von Rintelen, K., Hall, R., Ng, P.K.L., Shih, H.-T., Carvalho, G.C. & von Rintelen, T. 2011. Beyond Wallace’s line: Genes and biology inform historical biogeographical insights in the Indo-Australian archipelago. Annual Review of Ecology, Evolution, and Systematics, 42, 205-226. Rigg, J.W.D. & Hall, R. 2011. Structural and stratigraphic evolution of the Savu Basin, Indonesia. In: Hall, R., Cottam, M.A. & Wilson, M.E.J. (Eds.) The SE Asian gateway: history and tectonics of Australia-Asia collision. Geological Society of London Special Publication, 355, 225-240. Sevastjanova, I., Clements, B., Hall, R., Belousova, E., Griffin, W.L., Pearson, N. 2011. Granitic magmatism, basement ages, and provenance indicators in the Malay Peninsula: Insights from detrital zircon U-Pb and Hf-isotope data. Gondwana Research, 19, 1024-1039. Sevastjanova, I. & Hall, R. 2011. Detrital zircon perspective on provenance of the Permian-Triassic sandstones in the Banda Arc, SE Asia. Goldschmidt Meeting, Detrital Zircon Workshop, Prague, Czech Republic. Smyth, H.R., Crowley, Q.G., Hall, R., Kinny, P.D., Hamilton, P.J. & Schmidt. D.N. 2011. A Toba-scale eruption in the Early Miocene: The Semilir eruption, East Java, Indonesia. Lithos, 126, 198-211. Watkinson, I., Elders, C.F., Batt, G., Jourdan, F., Hall, R. & McNaughton, N. 2011. The timing of strike-slip shear along the Ranong and Khlong Marui Faults, Thailand. Journal of Geophysical Research, 116, B09403, doi:10.1029/2011JB008379. Watkinson, I.M., Hall, R. & Ferdian, F. 2011. Tectonic re-interpretation of the Banggai-Sula–Molucca Sea margin, Indonesia. In: Hall, R., Cottam, M.A. & Wilson, M.E.J. (Eds.) The SE Asian gateway: history and tectonics of Australia-Asia collision. Geological Society of London Special Publication, 355, 203-224. Witts, D., Hall, R. Morley, R.J. & BouDagher-Fadel, M. K. 2011. Stratigraphy and sediment provenance, Barito Basin, Southeast Kalimantan. Proceedings Indonesian Petroleum Association, 35th Annual Convention, IPA11-G-054 1-18. Amir, V., Hall, R. & Elders, C.F. 2010. Structural evolution of the northern Bonaparte Basin, Northwest Shelf Australia. Proceedings Indonesian Petroleum Association, 34th Annual Convention, IPA10-G-210 1-17. Ferdian, F., Watkinson, I.M. & Hall, R 2010. 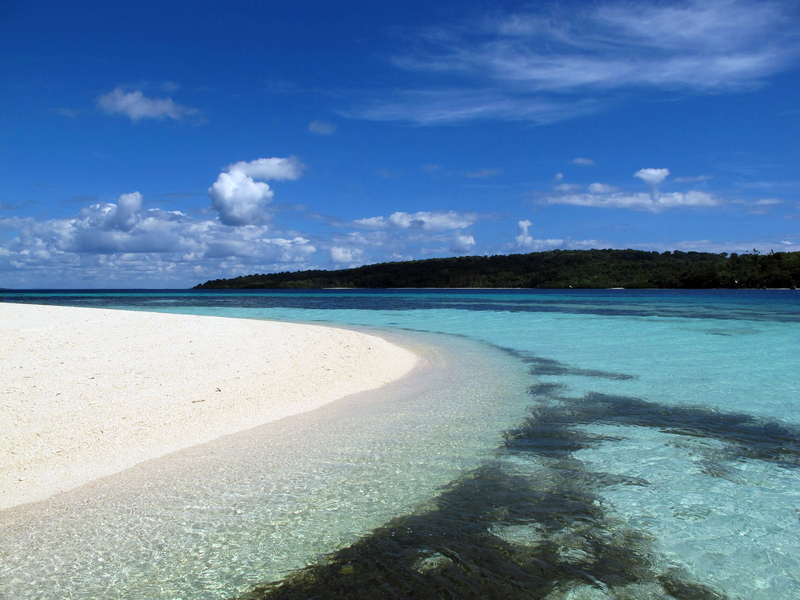 A structural re-evaluation of the North Banggai-Sula area, eastern Sulawesi. Proceedings Indonesian Petroleum Association, 34th Annual Convention, IPA10-G-009 1-20. Macpherson, C.G., Chiang, K.K., Hall, R., Nowell, G.M., Castillo, P.R. & Thirlwall, M.F. 2010. Plio-Pleistocene intra-plate magmatism from the southern Sulu Arc, Semporna peninsula, Sabah, Borneo: Implications for high-Nb basalt in subduction zones. Journal of Volcanology and Geothermal Research, 190, 25-38. Spakman, W. & Hall, R. 2010. Surface deformation and slab-mantle interaction during Banda Arc subduction rollback. Nature Geoscience, 3, 562-566. doi:10.1038/ngeo917. Tingay, M.R.P., Morley, C.K., King, R.C., Hillis, R.R., Coblentz, D. & Hall, R. 2010. Present-day stress field of Southeast Asia. Tectonophysics, 482, 92-104. Wilson, M.E.J. & Hall, R. 2010. Tectonic influences on SE Asian carbonates and their reservoir development. In: Morgan, W.A., George, A.D., Harris, P. M., Kupecz, J.A. & Sarg, J.F. (Eds.) Cenozoic Carbonate Systems of Australasia. SEPM Special Publication, 95, 122-149. Hall, R., Cottam, M.A., Suggate, S., Tongkul, F., Sperber, C. & Batt, G. 2009. The Geology of Mount Kinabalu. Sabah Parks Publication 13, 77pp. Hall, R., 2009. Indonesia, Geology. In: Gillespie, R. & Clague, D. (Eds.). Encyclopedia of Islands. University of California Press, 454-460. Hall, R and Smyth, H.R., 2008, Cenozoic arc activity in Indonesia: identification of the key influences on the stratigraphic record in active volcanic arcs, in Draut, A.E., Clift, P.D., and Scholl, D.W., eds., Lessons from the Stratigraphic Record in Arc Collision Zones: The Geological Society of America Special Paper 436. Smyth, H.R., Hall, R and Nichols, G.J., 2008, Cenozoic volcanic arc history of East Java, Indonesia: the stratigraphic record of eruptions on a continental margin, in Draut, A.E., Clift, P.D., and Scholl, D.W., eds., Lessons from the Stratigraphic Record in Arc Collision Zones: The Geological Society of America Special Paper 436. Waltham, D, Hall, R, Smyth, H.R. and Ebinger, C.J., 2008, Basin formation by volcanic arc loading, in Draut, A.E., Clift, P.D., and Scholl, D.W., eds., Lessons from the Stratigraphic Record in Arc Collision Zones: The Geological Society of America Special Paper 436. Smyth, H.R., Hall, R and Nichols, G.J., 2008, Origin of quartz-rich sandstones, east Java, Indonesia. Questioning the continental origin of quartz-rich sandstones, onshore East Java, Indonesia, Journal of Sedimentary Research May 2008; v. 78; no. 5; p. 335-356. Hall, R., Van Hattum, M. and Spakman., 2008, Impact of India-Asia Collision on SE Asia: The Record in Borneo, Tectonophysics, 451, 366-389. Macpherson, C.G., 2008, Lithosphere erosion and crustal growth in Subduction zones: Insights from initiation of the nascent East Philippine Arc, Geology, 36, 4, 311-314. Hall, R., 2008. Indonesia, Geology. In: Gillespie, R. & Clague, D. (Eds.). Encyclopedia of Islands. University of California Press. Renema, W., Bellwood, D. R., Braga, J.C., Bromfield, K., Hall, R., Johnson K.G., Lunt, P., Meyer C.P., McMonagle, L.B., Morley, R.J., O�Dea, A., Todd, J.A., Wesselingh, F.P., Wilson, M.E.J. & Pandolfi, J. M. 2008. Hopping hotspots: global shifts in marine biodiversity. Science, 321 654-657. Macpherson CG, 2008. Lithosphere erosion and crustal growth in island arcs: insights from the nascent East Philippine margin. Geology 36, 311-314 Hall R, 2008. Continental Growth at the Indonesian Margins of SE Asia. Arizona Geological Society Digest 22. Calvert, S. and Hall, R. 2007, Cenozoic Evolution of the Lariang and Karama regions, North Makassar Basin, western Sulawesi, Indonesia in Petroleum Geoscience, 13, 353-368. Clements, B. and Hall, R., 2007, Cretaceous to Late Miocene Stratigraphic and Tectonic Evolution of West Java, in Proceedings 31st Indonesian Petroleum Association. Hall, R. Clements, B., Smyth, H., Cottam, M., 2007, A New Interpretation of Java’s Structure, in Proceedings 31st Indonesian Petroleum Association. Hall, R., van Hattum, M.W.A, Spakman, W., 2007, The impact of India-Asia Collision on SE Asia: the record in Borneo, Tectonophysics (in press). Hall, R and Smyth, H.R., 2007, Cenozoic arc activity in Indonesia: identification of the key influences on the stratigraphic record in active volcanic arcs, in Draut, A.E., Clift, P.D., and Scholl, D.W., eds., Formation and applications of the sedimentary record in arc collision zones, Geological Society America Special Publication. (in press). Handley HK, Macpherson CG, Davidson JP Berlo & Lowry. 2007, Constraining Fluid and Sediment Contributions to Subduction-Related Magmatism in Indonesia: Ijen Volcanic Complex in Journal of Petrology, 48, 6, 1155-1183. Smyth, H.R., Hamilton, P.J., Hall, R., and Kinny, P.D., 2007, The deep crust beneath island arcs: inherited zircons reveal a Gondwana continental fragment beneath East Java, Indonesia, in Earth and Planetary Science Letters, 258, 269-282. Smyth, H.R., Hall, R and Nichols, G.J., 2007, Cenozoic volcanic arc history of East Java, Indonesia: the stratigraphic record of eruptions on a continental margin, in Draut, A.E., Clift, P.D., and Scholl, D.W., eds., Formation and applications of the sedimentary record in arc collision zones, Geological Society America Special Publication (in press). Smyth, H.R., Hall, R and Nichols, G.J., 2007, Origin of quartz-rich sandstones, east Java, Indonesia. Questioning the continental origin of quartz-rich sandstones, onshore East Java, Indonesia, Journal of Sedimentary Research (in press). Yulianto, I., Hall, R., Clements, B. and Elders, C., 2007, Structural and Stratigraphic Evolution of the offshore Malingping Block, West Java, Indonesia in Proceedings 31st Indonesian Petroleum Asssociation. Waltham, D, Hall, R, Smyth, H.R. and Ebinger, C.J., 2007, Basin formation by volcanic arc loading, in Draut, A.E., Clift, P.D., and Scholl, D.W., eds., Formation and applications of the sedimentary record in arc collision zones, Geological Society America Special Publication (in press). Calvert, S.J. & Hall, R. 2006. The Cenozoic Evolution of the Lariang and Karama regions, North Makassar Basin, western Sulawesi, Indonesia. Proceedings, Jakarta 2006 International Geoscience Conference, PG31-1-5. Clements, B. & Hall, R. 2006. Cretaceous to Late Miocene stratigraphic and tectonic evolution of West Java.Proceedings, Jakarta 2006 International Geoscience Conference, PG05-1-5. Macpherson CG, Dreher ST and Thirlwall MF., 2006, Adakites without slab melting: High pressure differentiation of island arc magma, Mindanao, the Philippines. Earth and Planetary Science Letters 243, 581-593.
van Hattum, M.W.A, Hall, R, Pickard, A.P and Nichols, G.J., 2006, SE Asian sediments not from Asia: provenance and geochronology of North Borneo sandstones. Geology 34, 589-592. Carnell, A. & Wilson, M.E.J. 2005. Dolomites in Southeast Asia,a mixed Bag (examples, possible origins and implications for hydrocarbon exploration). In The Geometry and Petrogenesis of dolomite hydrocarbon reservoirs. Geological Society of London Special Publication, 235, 255-300. Crabbe, M.J.C., Wilson, M.E.J., and Smith, D.J. 2005. Constraints on the growth rates of modern and Quaternary corals from reefs in the Wakatobi Marine National Park, SE Sulawesi, Indonesia. Dreher ST, Macpherson CG, Pearson DG & Davidson JP., 2005, Re-Os isotope studies of Mindanao adakites: Implications for sources of metals and melts. Geology 33, 957- 960. Garwin, S., Watanabe, Y. & Hall, R. 2005. Tectonic setting, geology and gold and copper mineralization in Cenozoic magmatic arcs of Southeast Asia and the West Pacific. Economic Geology, 100th Anniversary Volume, 891-930. Nur’Aini, S., Hall, R., & Elders, C.F. 2005. Basement architecture and sedimentary fills of the North Makassar Straits basin. Proceedings Indonesian Petroleum Association, 30th Annual Convention, 483-497. Puspita, S.D. Hall, R., & Elders, C.F. 2005. Structural styles of the offshore West Sulawesi fold belt, North Makassar Straits, Indonesia. Proceedings Indonesian Petroleum Association, 30th Annual Convention, 519-542. Smyth, H., Hall, R., Hamilton, P.J. & Kinny, P.J. 2005. East Java: Cenozoic basins, volcanoes and ancient basement.Proceedings Indonesian Petroleum Association, 30th Annual Convention, 251-266. Wilson, M.E.J. & Vecsei, A. 2005. Low-latitude carbonate platforms without coral dominance: the overlooked deep Photozoan platforms. Earth Science Reviews 69, 133-168. Wilson, M.E.J., 2005. Equatorial delta-front patch reef development during the Neogene, Borneo. Journal of Sedimentary Research. 75, 116-134. Baillie, P., Fraser, T., Hall, R. & Myers, K. 2004. Geological development of Eastern Indonesia and the northern Australia collision zone: a review. In: Ellis, G.K., Baillie, P.W. & Munson, T.J. (Eds), Proceedings of the Timor Sea Symposium, Darwin, Northern Territory, Australia 19-20 June, 2003. Northern Territory Geological Survey, Special Publication, 1, 539-550. Shaw AM, Hilton, DR, Macpherson CG & Sinton JM, 2004. The CO2-He-Ar-H2O systematics of the Manus back-arc basin: Resolving source composition from degassing and contamination effects. Geochimica et Cosmochimica Acta 68, 1837-1856. Balaguru, A, Nichols, G.J. & Hall, R. 2003. Tertiary stratigraphy and basin evolution of southern Sabah: implications for the tectono-stratigraphic evolution of Sabah, Malaysia. Geological Society of Malaysia Bulletin, 47, 27-49. Balaguru, A, Nichols, G.J. & Hall, R. 2003. The origin of the circular basins of Sabah, Malaysia. Geological Society of Malaysia Bulletin, 46 , 335-351. Calvert, S.J. & Hall, R. 2003. The Cenozoic geology of the Lariang and Karama regions, Western Sulawesi: new insight into the evolution of the Makassar Straits region. Indonesian Petroleum Association, Proceedings 29th Annual Convention, Jakarta, 2003, 501-517. Carter, A., Bristow, C.S. 2003. Linking hinterland evolution and continental basin sedimentation by using detrital zircon thermochronolgy: a study of the Khorat Plateau Basin, Eastern Thailand, Basin Research, 15, 271-285. Macpherson, C.G. & Hall, R. 2003. A Western Pacific Hotspot? Geophysical Research Abstracts 5, EAE03-A-01682. EGS-AGU-EUG Joint Assembly. Macpherson, C.G., Forde, E.J., Hall, R. & Thirlwall, M.F. 2003. Geochemical evolution of magmatism in an arc–arc collision: the Halmahera and Sangihe arcs, eastern Indonesia. In: Larter, R.D. & Leat, P.T. (Eds.). Intra-Oceanic Subduction Systems: Tectonic and Magmatic Processes. Geological Society of London Special Publication, 219, 207-220. Pairault, A.A., Hall, R. & Elders, C.F. 2003. Structural styles and tectonic evolution of the Seram Trough, Indonesia.Marine and Petroleum Geology, 20 (10), 1141-1160. Pairault, A. A., Hall, R. & Elders, C. F. 2003. Tectonic evolution of the Seram Trough, Indonesia. Indonesian Petroleum Association, Proceedings 29th Annual Convention, 355-370. Smyth, H., Hall, R., Hamilton, J. & Kinny, P. 2003. Volcanic origin of quartz-rich sediments in East Java. Indonesian Petroleum Association, Proceedings 29th Annual Convention, 541-559. Suggate, S. & Hall, R. 2003. Predicting sediment yields from SE Asia: A GIS approach. Indonesian Petroleum Association, Proceedings 29th Annual Convention, 289-304.
van Hattum, M., Hall, R. & Nichols, G. J. 2003. Provenance of northern Borneo sediments. Indonesian Petroleum Association, Proceedings 29th Annual Convention, 305-319. Hall, R. 2002. East Indies. In: McGraw-Hill Encyclopaedia of Science and Technology, 9th Edition, volume 5. Macpherson, C.G. & Hall, R. 2002. Timing and tectonic controls in the evolving orogen of SE Asia and the western Pacific and some implications for ore generation. In: Blundell, D.J., Neubauer, F. & von Quadt, A. (eds) The Timing and Location of Major Ore Deposits in an Evolving Orogen. Geological Society of London Special Publication, 204, 49-67. Wilson, M.E.J. 2002. Cenozoic carbonates in Southeast Asia: implications for equatorial carbonate development. Sedimentary Geology, 147, 295-428. Hall, R. 2001. Extension during late Neogene collision in east Indonesia and New Guinea. In: Ailleres, L. & Rawling, T. (eds.) Animations in Geology. Journal of the Virtual Explorer, 4. Önen, A. P & Hall, R. 2000. Sub-ophiolitic metamorphic rocks from northwest Anatolia, Turkey. Journal of Metamorphic Geology, 18, 483-495. Wilson, M.E.J. 2000. Tectonic and volcanic influences on the development and diachronous termination of a Tertiary tropical carbonate platform. Journal of Sedimentary Research. 70, (2), 310-324. Wilson, M.E.J., Bosence, D.W.J. and Limbong, A. 2000. Tertiary Syntectonic Carbonate development in Indonesia. Sedimentology, 47. Carter, A. and Moss, S.J. 1999. Combined detrital-zircon fission-track and U-Pb dating: A new approach to understanding hinterland evolution. Geology, 27, (3), 235-238. Cloke, I.R., Milsom, J. and Blundell, D.J.B. 1999. Implications of gravity data from East Kalimantan and the Makassar Straits : a solution to the origin of the Makassar Straits Journal of Asian Earth Sciences, 17, 1-2, 61-78. Cloke, I.R., Moss, S.J. and Craig, J. 1999. Structural controls on the evolution of the Kutai Basin, East Kalimantan. Journal of Asian Earth Sciences, 17, 137-156. Fuller, M., Ali, J.R., Moss, S.J., Frost, G.M., Richter, B. and Mahfi, A. 1999. Palaeomagnetism of Borneo. Tectonics, Stratigraphy and Petroleum Systems of Borneo Workshop, Brunei 1997 Special Edition, Journal of Asian Earth Sciences, 17, 3-24. Macpherson C.G. 1999, C02, 13C/12C and H2O variability in natural basaltic glasses: A study comparing stepped heating and FTIR spectroscopic techniques, Geochimica et Cosmochimica Acta 63, 1-2, 1805-1813. Moss, S.J. and Chambers, J.L.C. 1999. Tertiary facies architecture in the Kutai Basin, Kalimantan, Indonesia. Journal of Asian Earth Sciences, 17, 157-181. Nichols, G. and Hall, R.1999 . History of the Celebes Sea basin based on its stratigraphic and sedimentological record, Journal of Asian Earth Sciences, 17, 47-59. Wilson, M.E.J. 1999. Prerift and synrift sedimentation during early fault segmentation of a Tertiary carbonate platform, Indonesia. Marine and Petroleum Geology. 16, (8), 825-848. Wilson, M.E.J., Chambers, J.L.C., Evans, M.J., Moss, S.J. and Nas, D.S. 1999. Cenozoic carbonates in Borneo: case studies from Northeast Kalimantan, Journal of Asian Earth Sciences, 17, 183-201. Wilson, M.E.J. and Moss, S.J. 1999. Cenozoic evolution of Borneo-Sulawesi. Palaeogeography, Palaeoclimatology and Palaeooceanography. 145, (4), p. 303-337. Collins, J.S.H. and Barber, A.J. 1998. A new Middle Eocene crab Lobocarcinus pentanodosus sp.nov. (Crustacea, Decapoda) from Doi Doi, Barru, South sulawesi, Indonesia, Bulletin of the Mizunami Fossil Museum, 25, 97-101. Hall, R. and Holloway, J.D. 1998. SE Asian geology and biogeography: an introduction. In: Hall, R. and Holloway, J.D. (eds), Biogeography and Geological Evolution of SE Asia Backhuys Publishers, Leiden, 1-23. Macpherson, C.G. and Mattey, D.P. 1998. Oxygen isotope variations in Lau Basin lavas. Chemical Geology 144 (3-4), 177-194. Macpherson, C.G., D.R. Hilton, J.M. Sinton, R.J. Poreda and H. Craig. 1998. High 3He/4He ratios in the Manus Back-Arc Basin: implications for mantle mixing and the origin of plumes in the western Pacific Ocean. Geology 26, 1007-1010. Morley, R.J. 1998. Palynological evidence for Tertiary plant dispersals in the SE Asian region in relation to plate tectonics and climate. In: Hall, R. and Holloway, J.D. (eds), Biogeography and Geological Evolution of SE Asia Backhuys Publishers, Leiden, The Netherlands, 211-234. Moss, S., J., Carter, A., Baker, S., and Hurford, A.J. 1998. A Late Oligocene tectono-volcanic event in East Kalimantan and the implications for tectonics and sedimentation in Borneo. Journal of the Geological Society of London. 155, p177-192. Moss, S.J. and Finch, E.M. 1998. Geological implications of new biostratigraphic data from East and West Kalimantan, Indonesia. Journal of Asian Earth Sciences, 15, 489-506. Wilson, M.E.J. and Rosen, B.R. 1998. Implications for paucity of corals in the Paleogene of SE Asia: plate tectonics or Centre of Origin? In: Hall, R. and Holloway, J.D. (eds), Biogeography and Geological Evolution of SE Asia Backhuys Publishers, Leiden, The Netherlands, 165-195. Ascaria, N.A., Harbury, N.A. and Wilson, M.E.J. 1997. Hydrocarbon potential and development of Miocene knoll-reefs, South Sulawesi. In Howes, J.V.C. and Noble, R.A. (eds), Proceedings of the Conference on Petroleum Systems of SE Asia and Australasia, 569–584. Cloke, I.R., Moss, S.J. and Craig, J. 1997. The influence of basement reactivation on the extensional and inversional history of the Kutai Basin, Eastern Kalimantan. Journal of Geological Society, 154, 157-161. Hall, A. and Moss, S.J. 1997. The occurrence of laumontite in volcanic and volcaniclastic rocks from southern Sumatra. Journal of Southeast Asian Earth Sciences, 15 (1) 55-59. Howells, C.G. 1997. Tertiary response to oblique subduction and indentation in Sumatra, Indonesia – new ideas for hydrocarbon exploration. In: Fraser, A.J., Matthews, S.J. and Murphy R.W. (eds). Petroleum Geology of Southeast Asia. Geological Society of London, 126, 365-374. McCarthy, A.J. and Elders, C.F. 1997. Cenozoic deformation in Sumatra: oblique subduction and the development of the Sumatran Fault System. In: Fraser, A.J., Matthews, S.J. and Murphy R.W. (eds). Petroleum Geology of Southeast Asia. Geological Society of London, 126, 355-363. Moss, S.J., Chambers, J., Cloke, I., Satria D., Ali, J.R., and Carter, A. 1997. New Observations on the Sedimentary and Tectonic Evolution of the Tertiary Kutai Basin, East Kalimantan. In: Fraser, A.J., Matthews, S.J. and Murphy R.W. (eds). Petroleum Geology of SE Asia, Geological Society of London, 126, 395-416. Snyder, D.B. and Barber, A.J. 1997. Australia-Banda Arc collision as an analogue for early stages in Iapetus closure. Journal of the Geological Society, 154, 589-592. Wilson, M.E.J. and Bosence, D.W.J. 1997. Platform-top and ramp deposits of the Tonasa Carbonate Platform, Sulawesi, Indonesia. In: Fraser, A.J., Matthews, S.J. and Murphy R.W. (eds) Petroleum Geology of Southeast Asia. Geological Society of London Special Publication, 126247-279. Wilson, M.E.J., Ascaria, N.A., Coffield, D.Q. and Guritno, N. 1997. The petroleum systems of South Sulawesi, Indonesia. In: Howes, J.V.C. and Noble, R.A. (eds), Proceedings of the Conference on Petroleum Systems of SE Asia and Australasia, 561-567.